eager, eagor, eagre: n.暴漲湍(たん); 河流と潮流との河口における激突. eared seal: n.[動]発達した耳介(earflap, pinna)をもつアシカ科の海獣 [オットセイ、アシカ、トドなど] (→ Otariipae). ／California sea lion: n.[動]カリフォルニア・アシカ [鰭脚目アシカ科] [学名]Zalophus californianus. ／hair seal; sea lion: [動]アシカ、海驢(あしか). ・　Californian sea lion: [動]カリフォルニア・アシカ [鰭脚目アシカ科](学名: Zalophus californianus). earing, earring: n.[海]イヤリング、イアリング、耳索(みみづな) [帆船のセイルのヘッド(帆の上端)などに取り付けた ロープ; 四角帆の上隅・上端を帆桁(ヤード)に縛り付けている細い索・ロープ]; 横帆の上部両隅; 天幕の四隅 [小索]. ear shell, ear-shell: n.[貝]アワビ(abalone)、ミミガイ、トコブシ／ear shells:　n.pl.ミミガイ科. earthquake focus: [参考]The place in the earth's crust or mantle where an earthquake has occurred. ／angle worm, angleworm: n.[動][釣り餌(え)に使う; 魚釣り用の; 釣りの餌にする; [釣り餌用の] ミミズ(earthworm)、 餌虫(えむし) [ミミズ(earthworm)など];　釣り餌料(じりょう). ／a brandling; a red worm: [動]縞(しま)ミミズ [水族館で餌としてやる]. ／an earthworm; an angleworm; a rainworm; [魚釣りの餌]a fishworm, a fishing [dew] worm: [動]ミミズ. ／Ease to port: [舵一杯の場合] 常用取舵に戻せ. ／easing out line: 降ろし綱 [からみ錨を解く時]. ／to ease away: [海][索具などを]ゆるめる、[例えば、動索を] 徐々に送り出す. ／to ease down: [海]to ease away;　…のスピード(速力)をゆるめる. ／to ease the helm: [海]イーズ・ザ・ヘルム; 舵をゆるめる(戻す)、舵を戻す、常用舵角に戻す; "[舵]戻せ！"　[船首方位の変転速度を緩める場合] → to ease the rudder, to ease the wheel. ／to ease the ship: 舵柄を風下に一杯に取る. ・　to put the helm down: 舵柄を風下に取る. 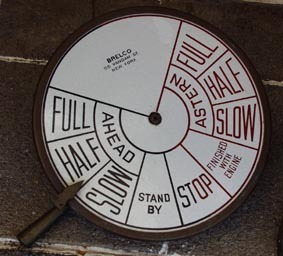 ／to ease the wheel: →　Ease the wheel: [操船用語]舵をゆっくり戻せ(＝Ease the helm) [舵をゆっくり中央に戻す時に 使う舵取り号令]. ／east-bound ship(vessel), eastbound ship(vessel):　東航船. ／a ship bound for Taiwan: 台湾行きの船. easterly: adj.東寄りの; 東方への、東向きの; [風が]東からの、adv.東の方へ(に)、[風が]東の方から(from the east)、 n.東風、[pl.]偏東風. eastern little tuna: n.[魚]スマ; Euthynnus affinis[サバ亜目サバ科]. ／mackerel tuna, ocean bonito: n.[魚]スマ[カツオの一種]. eastern Pacific bonito: n.[魚]　? easting: n.[海]偏東(東航)航程 [東への航行距離; 指定の子午線から東へ測った距離]、東航浬程[航海]; 東行、東進; 東(東寄り)の方向、東方位; 東寄りになること; [地図]偏東距離 [南北の基準線から東方に測った距離]; 東西距. [海底地形]海膨: a rise, an oceanic rise; a swell (→ arch, ridge). easy: adj. [海][船腹が]ゆるい曲線の、[船の通路が]ゆるく傾斜した; [速度などが]ゆるやかな(moderate)、微速の、 n.[海][漕ぎ手などの]小休止→ Easy all! : [海]漕ぎ方止め. eat: → to eat to windward: [海][帆走船が] 風を極力利用するため詰め開きで走る. ／to eat to windward of …: [詰め開きで帆走中の他船]の風上に出て風を奪う(邪魔する)(＝to eat the wind out of …). eating: n.食べること、adj.食用の;　[特に]生(なま)で食べられる／eating fish: n.食用魚. ebb tide: n.[海]引き潮、下げ潮(さげしお)、干潮、落潮[流](opp. flood tide) [高潮(満潮)から低潮(干潮)まで] (→ receding tide); 衰退[期]. echin-, echino-: [comb.form] "ウニ"、"とげ"の意; prickly, spinyを意味する連結形 [母音の前ではechin-を用いる] [例] echinoderm(棘皮動物). echometer: n.エコメーター [Marconi Sounding Device Co., Ltd.製造の音響測深儀]. echo sounder: n.[海]音響測深機(儀)(＝sonic depth finder; echo sounding apparatus; echo sounding machine; fathometer). [英語] echo sounder: Electronic device used to determine and record water depth in the ocean [注] water depth: 水深. ／The echo sounder measures depths for chart making. : 音響測深機は海図作成のために水深を測定するものである. echo whale finder: n.音響探鯨機(鯨探機)、反響鯨発見機 [水中音波の反響により鯨の所在を探る装置]. ／sea trumpet: [海草・海藻]カジメ [Ecklonia cava] [参考]コンブ科の多年生海藻。褐藻類の海藻。 長さ1～2m。暗褐色。一本の茎に羽状の幅広い葉片。アルギン酸、ヨードなどの原料。アワビなどの飼料に用いる. eclipse: n.[天][太陽・月の]食、その継続時間; [星の]掩蔽(えんぺい); 光が暗くなること、光の喪失・消滅・遮蔽(しゃへい); [明暗灯・灯台の]周期的な全暗、vt. [天体が他の天体を]食する、覆い隠す;　[灯りを]暗くする. ecliptic: n.[天]黄道(こうどう) [地球の公転によって、天球上において太陽が1年間に1周して描くように見える、見かけ 上の軌道円]、adj.食の、日食の、月食の; 黄道の. ／obliquity of the ecliptic: 黄道傾斜 [天の赤道に対する黄道の傾き]. ecological: adj.生態[学]上の／ecological form; ecotype: 生態型／ecological niche: 生態学地位. economic zone: n.経済水域(→ exclusive economic zone: 排他的経済水域)／contiguous zone: 接続水域. ecotone: n.[生態]移行帯、推移帯(すいいたい) [隣接する生物群集間の移行部](→ transition zone) [参照] edge effect, edge species. edge: n.縁、へり; 端、ほとり、vi. [一定方向に]じりじり進む、横向き(側面を前にして)進む [along, forward, into, etc.]. ／to edge down upon a ship: [海]船にじりじり接近する. ／to edge in:　[船が]じりじりと接近する [with the coast]. ／eel buck; eel basket: ＝eelpot. eel buck: n. eelpot／buck: n.[英国]ウナギを捕るかご、簗(やな). eelgrass: n.アマモ [米国大西洋北岸に多い海藻の一種; 人魚のモデルであるジュゴンが餌にする]、アジモ、モシオグサ　[学名]Zostera marina; せきしょうも(tape grass). eelpot: n.[ウナギを捕る]笯(ど)(竹冠に奴と書く)[ウナギを捕る篭]、ウナギおとし[箱形のやな]、ウナギを捕る筌(うけ) (→ eel basket, eel buck). effective horse power: n.有効馬力 [略: E.H.P., EHP]. E flag: n.[国際信号旗の] Eの１旗信号 [｢我右舷に針路を変じつつあり｣を示す]. EGG: n.底質測定装置 [electro geographの略; 航走中、海底に接触している等間隔の4電極(最前の極、最後の極、 およびその中間の2極)間における比抵抗の数値から砂、泥、岩の大略の底質区別を行う]. egg-laying: → egg-laying season; nesting season: [例えば、海ガメの]産卵期. egg yolk moon shell: n.[貝]オオトミガイ. EHP: n.有効馬力 [effective horse powerの略]. eicosapentaenoic acid: n.[略] EPA　エイコサペンタエン酸. eight principal points: n.[コンパス] 基本八方位点 [四方点(cardinal points; 東、西、南、北)と、それぞれの 中間の方位点(intercardinal points)の合計八つの方位点]、八主要点. Ekman-Mertz current-meter(currentmeter): n.エクマン・メルツ流速計(海流計)／Ekman current meter:　n.エクマン式 流速計. Ekman water sampler, Ekman water bottle: n.エクマン型(式)採水器. elasmobranch: adj. [魚]軟骨魚類の [サメ、エイなど]、バンサイ類の、n. [魚]軟骨魚類の魚 [サメ、エイなど]、 軟骨魚、板鰓類(ばんさいるい)・バンサイ類の魚 [サメ、フカ、エイなどの軟骨魚]. ／Sharks, skates, and rays－cartilaginous fish collectively called elasmobranchs－are extremely resistant to cancer. : サメ、ガンギエイ、エイは、総称して軟骨魚類と呼ばれる軟骨質をもつ魚で、癌(がん)に極めて耐性がある. ／elbow in the hawse: 船首で半巻きになった錨鎖 [双錨泊]. electricity-driven ship, electric-driven ship: 電気推進船(electric-powered ship). electric log, electric ship-log: n.電気[式]ログ、電気式測程儀、電気測程器 [logの回転数を電気的に船橋に標示する]. electric power generation by tidal currents: n.潮流発電. electrofishing; electric fishing: n.電気漁法 [水中に置いた直流電源の集魚効果を利用する]. electronic navigational chart: n.航海用電子海図 [略: ENC]. elegant blenny: n.[魚]ナベカ, Omobranchus elegans. elephant seal: n.[動]海象(かいぞう)(→ sea elephant)、ゾウアザラシ. ／elephant seal; sea elephant: 海象[海獣の一種。セイウチの別名] [参照] walrus. ／elevation above mean sea level: 平均海水面からの高さ・高度　[参考]elevation: 高地;　高台;　高さ、高度;　海抜;　[測量]仰角;　[砲]照準角、射角. Elmo's fire: n.マスト頂部などの電光、檣頭電光(→ St. Elmo's fireのこと). elongated form: 延長形／elongated fish: n.延長形魚 [ウナギ、アナゴなど]. elver: n.[魚]シラスウナギ(＝glass eel) [葉形幼生直後のウナギの総称]、ダッコ [別名:　メソ、メソッコ、ハリウナギなど]. ／to be under an embargo: [船が]抑留されている; [輸出が]禁止されている. ／to lay(put, place) an embargo on　…＝to lay　…　under an embargo: [船舶・貨物を]抑留(没収)する; [通商を]停止する. embay: vt.[船]を湾内に入れる(退避させる、追い込む); [湾状に]…を取り囲む、包囲する; [海岸・陸岸など]を湾状にする、 [海を陸岸で]湾状に囲む(取り囲む); 閉じ込める. ／Namibia's long coastline is remarkably free of promontories, embayments and natural harbours. : ナミビア国の長い 海岸線には岬、湾、自然の港がほとんどない. embryo: n.(pl. -os)[発生・植] 胚(はい); 胎児. ／emergency steering gear: 応急操舵装置(→ jury). encircling(roundhaul) gillnet, encircling(roundhaul) gill net: n.旋刺網(まきさしあみ)、巻刺し網. 巻き刺し網、巻刺網. ／end for end: ロープの首尾を転倒して;　逆に、反対に→　The boat went end for end. :　ボートが転覆した. ／engine logbook, engineer's logbook: 機関日誌(→ engine room register). ／engine room register: 機関日誌(→ engine logbook, engineer's logbook). engineer: n.[商船・汽船などの]機関士; 技術者、技師、エンジニア; [陸軍]工兵; [海軍]機関将校;　工学者. ／engineer's logbook: n.機関部当直日誌、機関日誌(→ engine logbook). engine telegraph: n.エンジン・テレグラフ、機関運転伝令(指示、通信)器、機関室伝令器、速力通信器 [参考]船橋から船内の機関操作場所(機関室)へ主機関の運転・操作 [前進、後進、停止、速力など]に関する指令(伝令・伝達)する 指示(通信)器 [参照画像: engine telegraph(1 & 2)(z138.gif & z732.jpg)]. English knot: n.蛙又結節(かえるまたけっせつ) [mesh knot, sheet bend knot, weaver's knotなどともいう;　本目結節に対する語]. Englishman's knot(tie): n. fisherman's knot(てぐす結び、フィッシャーマンズノット). ／Many sailors were engulfed into a great whirlpool. : 多くの船員が大渦(おおうず)に飲み込まれた. ensign: n.(1)旗(flag, banner)、国旗; 軍旗、海軍旗、軍艦旗、商船旗; (2)[英国]片隅にUnion Jackの ある赤(白・青)の旗; (3)[米国]海軍少尉; [英国]旗手(きしゅ);　(4)[官職などを示す]記章(badge)、標章(emblem). entomostracan: adj.[動][甲殻類の中の]切甲類(せっこうるい)の、n. [甲殻類中の] 切甲類の動物 [ミジンコ、フジツボなど] (cf. Malacostraca). entrance: n.[税関]入港手続き; 入港届(entrance notice); 船首水線以下の部、水切り部(entrance of a vessel);　入場;　加入;　入学. ／entrance of a bay: 湾口(わんこう)(bay-entrance; mouth of a bay). ／entrance to a port: 港門、港口. entrophic lake: n.富栄養湖　[対語]貧栄養湖／eutrophication: n.[海・湖などの]富栄養化. entropy: → entropy law: n.エントロピーの法則. entry: n.[商][税関での][船・船荷の] 登録[書類]; [船荷の]通関; [税関]通関手続き、通関申告[書]. ／a port of entry: [入国者・輸入品の]通関手続地、通関港[通関手続きをする港]、入国管理事務所のある港. E.P., Est. Pos. : estimated position [of a vessel]の略　[海図]推定位置 [潮流や風の影響を考慮し、対地針路や速力を 推定して求めた位置]. ephemeris: n.(pl. ephemerides)[天・海]天体暦 [各月各日の天体位置の早見表; これを含む天文暦]. epibenthic: adj.→ epibentic animal: n.近底棲生物、近底生生物. epibranchial: adj.→ epibranchial bone: n.上鰓骨／epibranchial groove: n.鰓上溝. epicenter: [参考]Point on the earth's surface directly above the earthquake focus. epifauna: n.[動]表在(表生)動物[相]、表生動物群、エピファウナ [底面上で生活している動物[相]; cf. infauna [参照] epibiose. epipelagic: adj. [生態]表海水層の [光合成に十分な光の浸透する深さ約100mまでの層]; 遠洋表層の; 遠洋遊離性の. E, Q flag: n.[国際信号旗の] E、Qの２旗信号 ["全速力後進[して]"を示す]. ／Equatorial Current: n.赤道海流 [北緯２度～南緯10度の間の大西洋に生じる海流で西から流れる海流;　平均の速さは1.25ノット であるが、最大3ノットにも達する]. ／equatorial front; Equatorial Front; Equatorial Convergence: n.赤道前線[両半球の貿易風の間にできる前線]. ／to cross the line: 赤道を通過する. equilibrium catch: n.平衡漁獲(equilibrium yield, optimum catch). ／equilibrium theory of tides: 潮汐の平衡理論. equinoctial point: n.[天]昼夜平分点、[春秋の]２分点、昼夜平分時(equinox) [天球上で黄道(こうどう)と赤道が 交わる２交点]. equinoctial tides: n.[海]分点潮(ぶんてんちょう) [月が赤道付近にあって、日潮不等が小さくなる頃の潮汐] [参照]潮汐・潮流関連用語. ／equipment number: n.艤装数 [(船の幅員＋船の深さ)×船の長さ＋(船楼の長さ×船楼の高さ)×３/４＋(甲板室の長さ＋ 甲板室の高さ)×1/2ので計算式で得られる数をもって艤装品の寸法、数量が決められる]. era: n.[動]えら、えんば [鯨鬚のこと] [同義:　おさ、ひげ]. escolar: n.(pl. ～, ～s)[魚]バラムツ [クロクチカマス科の深海産食用魚][Sp.＝scholar]. espadon: n.[魚]メカジキ(swordfish, broadbill swordfish) [学名]Xiphias gladius. establishment: n.[海]潮候率(ちょうこうりつ)、[新月と満月時の] 高潮間隙、潮候時 [新月と満月時の高潮間隙];　設置、設立、確立 [参考]潮汐・潮流関連用語. Est. Lat. : [海図] estimated latitudeの略語; 推定緯度. Est. Long. : [海図] estimated positionの略語; 推定経度. Est. Pos. : [海図] estimated positionの略語; 推定位置(→　E.P.). ／estuarine fishery: n.河口或での漁業、河口漁業; 汽水(きすい)漁業(brackish waters fishery). estuary: n.[潮の干満のある(潮の差す)大河の] 広い河口、幅広(はばひろ)の河口; 河口域、汽水或、入り江 [西語] estuario. estuary tapertail anchovy: n.[魚]エツ [カタクチイワシ科の海水魚]. eulachon: n.(pl. ～, ～s)[魚]ユーラカン(＝candlefish) [北太平洋のキュウリウオの一種; 食用]. eulittoral: → eulittoral zone: n.真(しん)沿岸帯. [英語] eulittoral zone: depth zone extending from high-tide line down to the maximum depth of holdfast plants. euphausia: n.オキアミの類、ユウハウシア、ユーハウシア [甲殻類プランクトン;　鬚鯨(ひげくじら)などの餌料と なる]→　Euphausia: n.オキアミ、ユーハウシア. ／euphotic zone(layer): 直光帯、真光帯、真光層 、受光層、受光帯(じゅこうたい)[海中で太陽光線が到達する深度帯;　植物の光合成 が行われる、水深0～80mくらい](→　有光層:　photic layer). [英語] euphotic zone: upper level of the ocean in which sunlight penetration is sufficient for photosynthesis. ／disphotic zone: n.薄光層 [disphotic zone: dimly lighted ocean depth zone lying below the euphotic zone]. [参考] disphotic: adj.→ disphotic plankton; skotoplankton: 嫌光性(けんこうせい)プランクトン. euphroe, uphroe: n.[海]天幕吊板 [天幕吊りの板綱を通す小穴の並んだ細長い板]; tent slide. euripus: n.(pl. -pi(発音:　パイ))[干満潮の流動の激しい] 海峡. eurybath: n.[生態]広深性生物 [さまざまな深度の水底に生息できる; opp. stenobath]. euryhaline: adj. [生態]広塩性(こうえんせい)の [さまざまな塩度の水に生息できる; opp. stenohaline] ／euryhaline fish:　n.[魚]広塩性魚. eurytherm: n.[生態]広温性生物 [さまざまな温度に耐えられる; opp. stenotherm]. eurytopic: adj. [生態]広(こう)場所性の [単一の(２つ以上の)環境因子の広範な変化に適応しうる; opp. stenotopic] ／eurytopicity. eustatic: adj.→ eustatic change of sea level:　海水準変化／eustatic movement: n.海水面運動. even keel: n.[船]等喫水、等吃水(とうきっすい)、平脚(ひらあし) [船首・船尾ともに同じ喫水(吃水)にあること;　「トリムなし(no trim)」ということになる] [西語]aguas iguales. ／on an even keel: 船首尾等喫水の(で). ／ex dock: [商: 商品取引での売買条件] ドック渡し; ドックより. ／ex godown, ex store(warehouse): 倉庫渡し. ／gallery: [水族館・博物館・美術館などの]展示室(陳列室)、展示ホール(コーナー･室)、ギャラリー in a 22-exhibit gallery: 22の展示品が収められている展示室. [文例]Deep-sea(Abyssal) Fish Gallery and Jellyfish Fantasy Hall at the aquarium: 水族館の「深海魚ギャラリ－」と 「クラゲ・ファンタジー・ホール"(くらげの展示室・コーナー)」. [文例]The exhibit is part of the South Pacific gallery at the Waikiki Aquarium. : 飼育展示されている魚などの生物 (展示生物 exhibit))は、ワイキキ水族館の「南太平洋ギャラリー(展示室)」の一部である. ／hands-on exhibits: n.個人の積極参加型(実地、実践[向き])の展示→ [参考] touch pool [例えば、水族館での展示形態の 一つとして]手に触れて鑑賞できる展示水槽. [文例]The Expedition gallery displays animals of the South Pacific－Palau reef fauna, anemone fishes, cuttlefish and rare nautilus, deep-sea flashlight and pinecone fishes(dark-loving species whose tanks are hidden in darkened recesses), and venomous species. :　"探検"展示室では南太平洋の動物ーパラオにおけるリーフ動物相、クマノミ、イカや珍しいオウムガイ、 深海性のヒカリキンメダイ科の魚やpinecone fishes(暗闇を好む魚種で、その水槽は暗く奥まったところに隠されている)、 毒液を分泌する魚種を展示(陳列)している. [参考] pavilion: n.展示館→ marine mammal pavilion: 海洋哺乳類展示館. existence doubtful: 疑存 [海図上に記載された暗礁、島などの障害物が存在するか否か明らかでなく 疑わしいもの; 暗礁・島などの存在が疑わしいこと](→ 疑位・ぎい). exoskeleton: n.[動]外骨格(がいこっかく) [カキの殻、エビの角皮や爪・ひずめなど; cf. endoskeleton(内骨格)]、甲羅 ／exoskeletal (adj.). ／introduction of exotic species of fish:　外来魚種の導入. expanding-earth theory: [英語] concept that the earth is expanding and that new crust is being formed in the mid-ocean ridges. ／experimental fishing, experimental fishing operations:　[漁業]試験操業. ／to extend a rope between two ships: ２隻の船の間にロープを張る. ／a fossil of an extinct species: 絶滅種の化石. ／extirpate: vt.[種族など]を絶滅させる;　[植物など]を根こそぎにする→ extirpate weeds: 雑草を根こそぎ引き抜く. ／to be on the verge of extinction:　絶滅に瀕している、絶滅の淵(ふち)(瀬戸際)にある(→　endangered). extraordinary low water springs: n.略最低低潮面. [参考]潮汐・潮流関連用語. extreme low water: n.最低低潮面 [参考]潮汐・潮流関連用語. eye: n.目; [綱の]環; [pl. ]錨鎖孔付近の船首部→　the eyes: 船首部(cf. the bows). eyebolt, eye bolt: n.アイボルト; 環付きボルト [ボルトの頭部にフック・紐などを掛ける輪があるもの; ボルトの頭が輪状に なっているボルト]、目付きボルト、目付き螺釘. eyeing period: n.発眼期(はつがんき)(→ eyeing stage). eye of the wind: direction from which the true wind blows [参考] true wind: the direction and speed of the wind felt when stationary, at anchor or on land. eye plate, eye pad: n.アイ・プレート; 目付き板. eye splice: n.[海]アイ・スプライス、索眼 [綱の端をまるく曲げて組み継ぎをした部分、鳩目組み接ぎ; ロープ・エンド(rope end)に環を作る法; ロープの先を解(ほど)いて、もう一度編み込んで作った輪]; 環(わ)つなぎ.